Session 119: Discomfort Beer – MostlyAboutBeer…….. 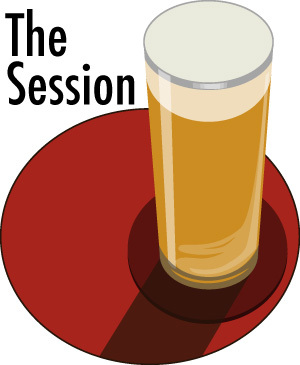 The Session, a.k.a. Beer Blogging Friday, is an opportunity once a month for beer bloggers from around the world to get together and write from their own unique perspective on a single topic. Each month, a different beer blogger hosts the Session, chooses a topic and creates a round-up listing all of the participants, along with a short pithy critique of each entry. Over time, it is the hope — of me, at least — that a record will be created with much useful information about various topics on the subject of beer. 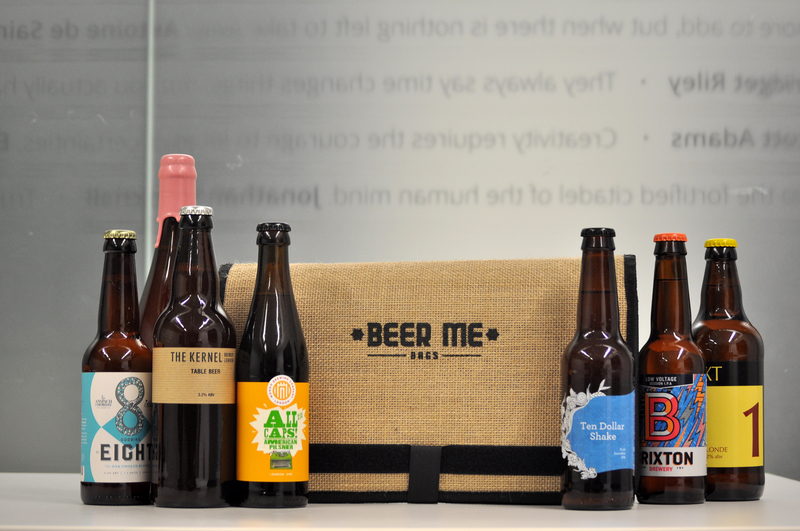 The idea for the Sessions began with fellow beer writer Stan Hieronymus, who noticed similar group endeavours in other blogospheres and suggested those of us in the beer world create our own project. Here is Stan’s original thought process to start up the Session. What was your first ever taste of beer like? For me, it was like chilled copper coins mixed with tonic water and was disgusting. This is a process us committed beer drinkers can revisit every time we try something new. A few years ago, I visited a pub in Pimlico called the Cask and Kitchen. There was a beer called Wild Raven by Thornbridge Brewery. Making assumptions based on the title, I ordered a pint as I love stout. I remember opening the sluices and then seizing up. Something wasn’t right. It had the chocolatey flavour of a stout but there was an intruder – lemon rind hissed in my nostrils and tainted my palate. Citrus grappled with the roast malt. Was it supposed to taste like this? Was it infection? Detergent? I spent some time staring at the floor in a suspended double-take. That was my first ever Black IPA and at the time I wasn’t sure. Initially, I didn’t like it but whilst deciding whether or not to return it to the bar I kept giving it the benefit of the doubt. The dislike diminished. The acceptance grew. The pint gradually drained. Black IPA is now one of my favourite styles but it could have gone the other way. And does a Black IPA still get me blinking at the floor in a state of disquiet? No. Neither does the astringent character of Brett nor the dry bite of Lambic. All styles have been comprehensively “locked in”. Ultimately, familiarity devours discomfort. I think this could be a good archive for people researching fads, the origins of styles and the dearths of others – but especially how new ones were initially perceived. 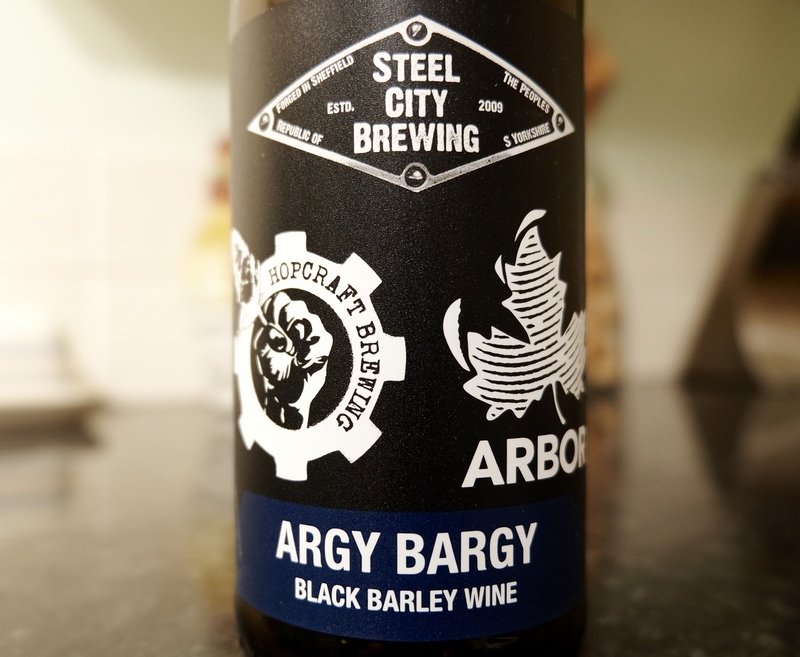 Over the past year I’ve had a black barley wine, a braggot, a rye wine, a seaweed and cloudberry Gose, a beer made with Saki yeast and several made with Champagne yeast. I’ve sipped stout with Tonka beans, drank mulled lager and many tea beers – some with the tea complementing the hops – others completely replacing them. This has also been a year where 9 ABV hop-forward beers have become standard*. Some of the above I loved, others I liked and some I hated. What remains to be seen is which will catch on and which are just brief social media cameos. I look forward to reading about your experiences. All contributions will be rounded up for January the sixth. As I won’t be around next Friday, I figured I’d leave this here this Friday! Cheers and thanks for hosting! Thanks very much Mike. I really enjoyed the piece and the images you’ve included (I recognise the nerdy looking guy from a British TV comedy called the Inbetweeners). I’m 39 now but still sometimes get asked my age! Discomfort beer? My father’s beer. Thanks ever so much Leslie. It really enriches the topic to hear what people remember and from which corner of the globe. Yours is the first to collar the malt rather than the hops. I’ve never heard of Jax Lager (probably for the best) but it sounds a little too like Ajax which is a powdered detergent in the UK. I can’t wait to read it! In the pub atm. Should be back at the computer in about 20 mins! Are you in the US? It’s a great piece Kate. My first taste of mead was similar – my first taste of “hopped mead” might even have given me hallucinations! (though that was probably the oysters). It’s well written, honest and the clarity in the photography is so professional. Thanks so much for contributing! Wow! Kuitbier. I learn more every time you write. Thanks very much. A good, meaty visceral take on Discomfort Beer. Hey, thanks for hosting. Good stuff! Here is my contribution. Thank you Jack. The sour and funky is clearly in the ascendant in the US as much as it is in Britain and Europe. Whereabouts are you based? Thanks for keeping The Session alive. I’ve never had a truffle beer (or a truffle for that matter) but it doesn’t sound too appealing to me. It’s interesting, Stan, that we have similar first memories–and not particularly good ones. I, too, answered Alec’s prompt writing about my father and his friends drinking beer at pool parties when I was a kid in the sixties. Let’s raise a hoppy glass to how far we’ve come! Thanks Jon. I shall wait till the weekend’s over before doing the final roundup. http://marklindner.info/bbl/2017/01/discomfort-beer-session-119/ Here’s mine. Posted in Twitter but decided maybe best to add here also. Cheers! Brilliant post! I’m with you on this! I cannot stand chilli beer! “it was like getting on a ferry from Bangor and only then discovering that Ireland exists” Perfect analogy for exploring the greater beer world! Andreas – that’s a definite education to me. I had no idea that Orval was based on stock pale ales. Thanks so much for contributing!